By far the greatest challenge this year (beyond Brexit) is likely to be a continuing shortage of good quality property to rent. 2018 was a record year for us in terms of rental demand and the number of transactions concluded, with a 22.1% increase in new lets over 2017 as well as record numbers of tenancy renewals. But tax changes and constant negative media coverage have prompted some UK investor landlords to exit the market, as well as deterring some new investors from considering buy-to-let in London. This hasn’t affected overseas investors as much because the weakness of sterling and slowing London property prices continue to offer them real opportunities in terms of long-term investment potential. However, it does mean that fewer rental properties are coming to the market this year, despite the proliferation of new developments launching in the Capital this year. This means that rents are edging up in some areas due to a shortage of supply. This is clearly good news for landlords who did not see many gains in 2018, but the fact remains that the rental market generally is extremely competitive and accurately priced, impeccably presented properties will always be the first to let. Therefore, rents must be priced in line with local market conditions and this highlights the continued importance of getting good advice from your letting agent – one who knows the area well and can offer expert advice in this complex and rapidly changing market. We have waiting lists of fully referenced applicants looking for homes in some new London property developments, so if your property is soon coming to market, we may be able to introduce you to a tenant quickly. Please contact the Manager at your local Benham & Reeves branch for more information. 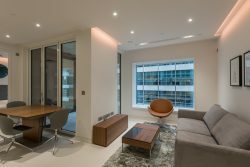 Rental demand is buoyant at our central London branches in Kensington, Knightsbridge and Hyde Park, at this usually quiet time of year. Enquiries from applicants have been picking up quickly since and this is the busiest start to the year we have had for some time. Demand for properties during the run-up to Christmas was also stronger than usual. This sustained demand has led to some shortages of stock, particularly smaller apartments, and we are currently taking on new instructions to ensure good availability for applicants. The rental market in central London remains very price sensitive though. Applicants are extremely knowledgeable about market conditions so rents must be competitive, in line with local market conditions. 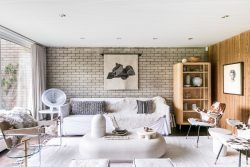 Continuity of rental income is the priority for most landlords who will usually prefer to retain an existing tenant to minimise voids whenever possible, even if this means keeping the rent at the same level. Our Nine Elms branch is also continuing to see high demand with enquiry levels increasing noticeably as soon as the branch opened after the holiday break. With apartments letting almost immediately here, stocks were so low that we only had two properties available and we continue to urgently seek new instructions. Our five City and East London branches are seeing good demand from tenants and this followed a busier than expected pre-Christmas period too. Enquiry levels are continuing to increase, with applicant numbers up noticeably on the same period last year. We’ve been actively reaching out to our corporate HR clients promoting our stock and with properties letting well we are currently working to replenish stocks to ensure we sustain availability. Upton Gardens development, located on the former ground of West Ham football club. Asking rents will start at an affordable £285 per week for a one bed apartment. 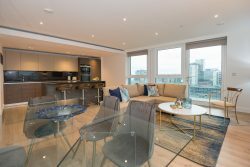 And we are currently carrying out viewings at the Liberty Building in E14 – the response so far is very good and one beds are achieving upwards of £400 per week. Two new towers will be completing in the next few months at Kidbrooke Village in South East London and another new phase is launching at Royal Arsenal Riverside in Woolwich – these will be handled by our Greenwich and Surrey Quays branches. Rental demand in Highgate and Hampstead is growing, with applicants looking for a new property from early February and we’ve seen more activity in the market than usual for this time of year. This follows a prolonged shortage of stock of some types of property and are now looking for new instructions, particularly one and two bed flats. We do continue to see steady demand for larger, family homes too but tenant expectations are high and Landlords need to take note that their properties should be kept fully up to date in order to secure a corporate tenant. Tenancy renewal levels remain high, contributing further to the shortages of stock. Our Highgate branch reports good interest from applicants for the Woodberry Park property development in Finsbury Park. 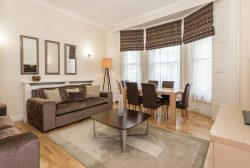 New apartments here are snapped up immediately and most existing tenants tend to renew their existing lease too so with stock is limited and no new phases launching until the autumn, we are keen to talk to landlords with properties here. At Beaufort Park in Colindale, the year has started very positively, with demand remaining high. Generally, we have good stocks available of studios and two bed apartments, although we have limited numbers of one bed apartments. The new Capri and Argent Houses are almost complete now and apartments have been letting as soon as they become available. 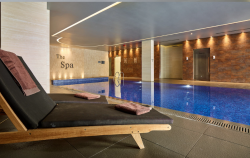 Our West London branches in Ealing, Brentford, Imperial Wharf and Hammersmith are also seeing good demand. Our Dickens Yard and Kew Bridge branches in particular, have been receiving a lot of enquiries and agreed a number of tenancies in the first week of January – there are just a few flats left at Dickens Yard’s new building – Quartz House (formerly known as Elizabeth House). Our Kew Bridge branch is now starting to receive enquiries about Queenshurst Square, a brand-new property development close to the River in Kingston where we have a number of apartments to rent. 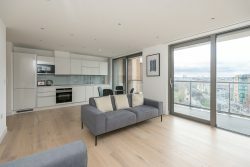 At Fulham Reach in Hammersmith, demand is higher than at the start of last year, with the new phases at Sovereign Court, Beaulieu House and Montpellier House, in particular, continuing to receive a lot of enquiries from applicants, including a growing number of Japanese corporates who are new to the area. Tenancy renewal rates across developments locally remain high too. The first quarter of the year looks set to show no slowing of demand for property to rent in London, stock levels however, are a constant concern and we could let many homes fivefold if we had the stock. If you are reading this and have a property becoming available soon, please contact us.